To protect the historical integrity and character of the Park Hill neighborhood through thoughtful preservation and respectful growth. Last spring, some Park Hill residents (your neighbors), who were concerned with the appearance of large and out of place homes popping up in the neighborhood, started meeting informally. These neighbors believed that these changes potentially threatened the special character of Park Hill. 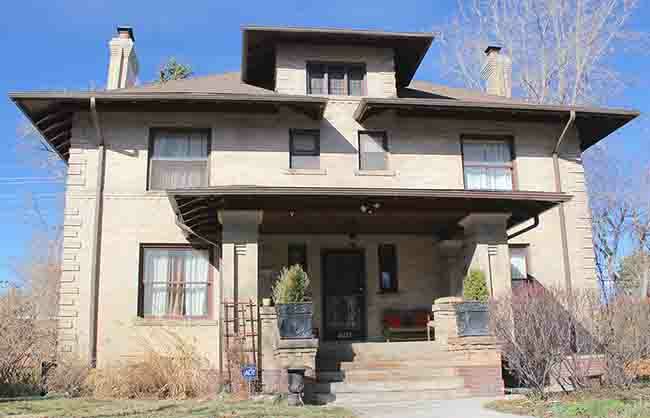 They decided to form the Historic Park Hill Committee (HPHC) to pursue designation as a Historic District with the City of Denver’s Landmark Preservation Commission for the original platted Park Hill subdivision. The original subdivision is a 32-block area platted by Baron Allois Gullaume Eugene Von Winckler in 1887 and includes the East side of Colorado Blvd. to Dahlia and the North side of Montview to 26th. There are approximately 12 members of the HPHC who attend meetings every two weeks. HPHC believes that historic designation is a method of ensuring that changes to a neighborhood occur thoughtfully, preserving the character of a place people love -- homes with history, a rhythm and street pattern, quality construction and design -- while acknowledging modern lifestyle needs by providing guidelines for modifications and additions. Historic district designation ensures that what we all love about Park Hill remains and that future generations will recognize and be able to experience its special character. Historic district designation is the best way to ensure responsible and incremental change and to protect historic homes from demolition. This is particularly important in Park Hill, where the homes most at risk are the smaller homes. Their loss threatens the architectural, cultural, and economic diversity of our neighborhood. Since the proposed historic district is largely intact, we have a unique opportunity to protect it for future generations. The proposed area was bought and platted by Baron Allois Gullaume Eugene Von Winckler in April of 1887. Baron Von Winckler called his new development “Park Hill Ranch.” However, it was not until after Baron Von Winckler’s death in 1898 that the area really began to develop. The area covers a total of 32 blocks, stretching from Colorado to the East side of Dahlia and from the North side of Montview to 26th Ave. There are approximately 700 homes in the District with roughly 95% of the homes built between 1893 and 1941 and another 4% built between 1945 and 1954. The first homes built were along and close to Montview Blvd. and Albion and Ash Streets. Much of the District’s building occurred in the time periods immediately before and after American involvement in World War I and prior to the Great Depression of 1929. By 1934, the majority of lots had been purchased and only infill properties remained. Park Hill was also one of Denver’s first street car suburbs with a trolley line running down 23rd Avenue and Montview Blvd. 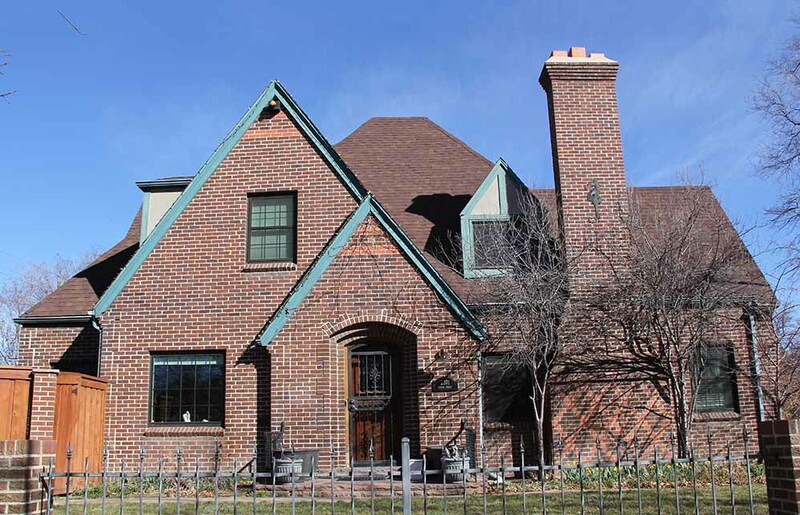 The original Park Hill neighborhood has been judged as historically significant by the United States Department of the Interior’s National Park Service according to two criteria. First, it is a rare living example of historical Community Planning and Development in U.S. urban areas. Second, the area served as one of Denver’s first exclusively residential areas and one of Denver’s first “streetcar suburbs”. Park Hill has over 10,000 households and is known to be one of the most culturally and economically diverse communities in Denver Metropolitan Area. The proposed designated Historic District has approximately 700 homes. The houses in the proposed area range in size from 750 square feet alley houses to over 6,000 square feet mansions. However, the vast majority of the homes are between 1,000 square feet and 2,800 square feet. This difference in the sizes of homes in a relatively compact 32 block area attracts homeowners and renters from very diverse cultural, social, and economical backgrounds. Both the new family starting out and the older couple looking to down size are attracted to the neighborhood due to the large amount of smaller and mid-size homes. Park Hill lies approximately 3 miles east of downtown Denver. Park Hill gets a portion of its name from City Park which lies directly to the west of the neighborhood. The “Hill” portion of the name is a misnomer because the area is relatively flat. Park Hill offers lovely views of downtown with the Front Range as a backdrop. 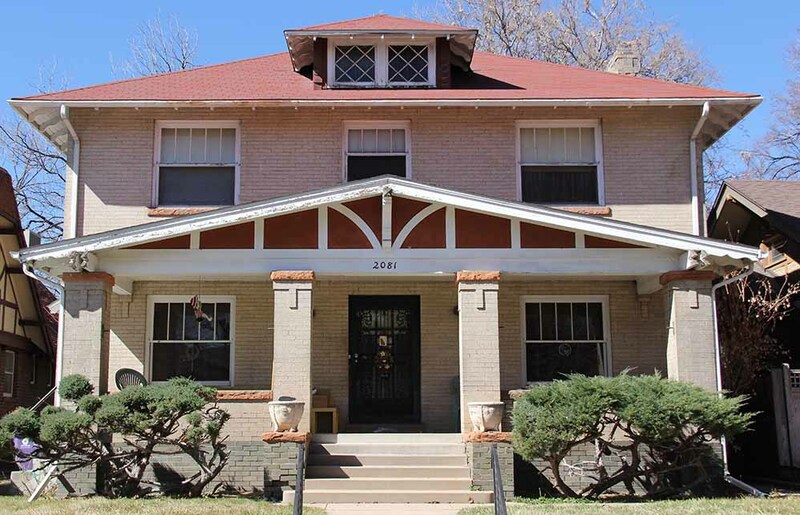 The Historic District covers a total of 32 blocks, stretching from Colorado to the East side of Dahlia and from the North side of Montview to 26th Ave. The residential neighborhood has the appearance of an established middle class urban subdivision along most of its streets. Most of the front yards are planted in grass, bushes and large trees, and a narrow parking lawn occurs between streets and sidewalks. Mature trees are planted in the garden strip between the street and sidwealk which dominate the spring and summer streetscapes. The neighborhood is also significant for its architecture. 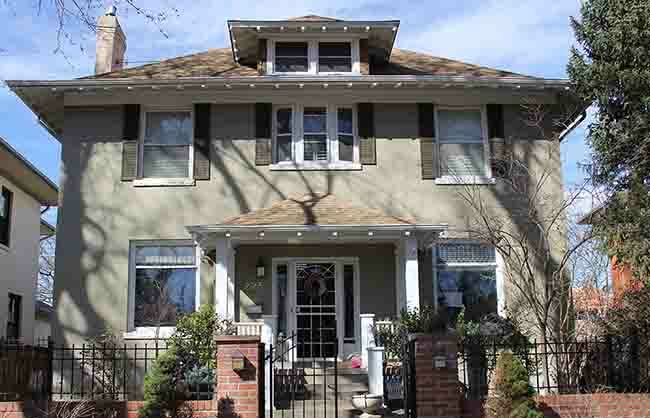 It is a living example of popular architectural styles from the 1890s to 1945 when the area was 95% completed. As such, it is considered a valuable and irreplaceable area for the study of residential architecture. The predominantly brick dwellings vary from small Bungalows to multi-story architect designed mansions. The proposed district has many different architecturally styled homes. 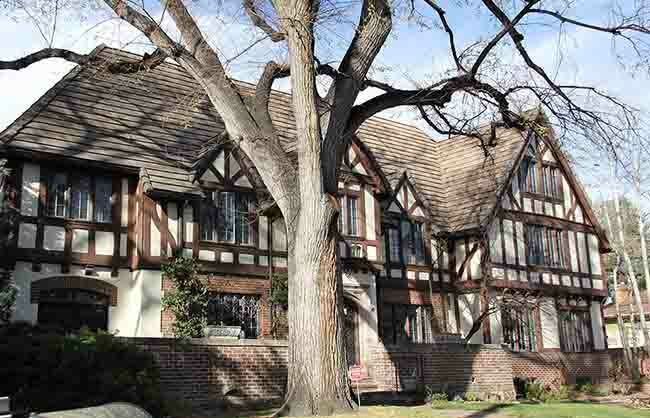 Bungalow, Four Square (sometimes referred to as Denver Square), Queen Anne, Edwardian, Classic Cottage, Tudor Revival, English Norman Cottage, Colonial Revival, and Dutch Colonial Revival are some of the architecture styles represented. 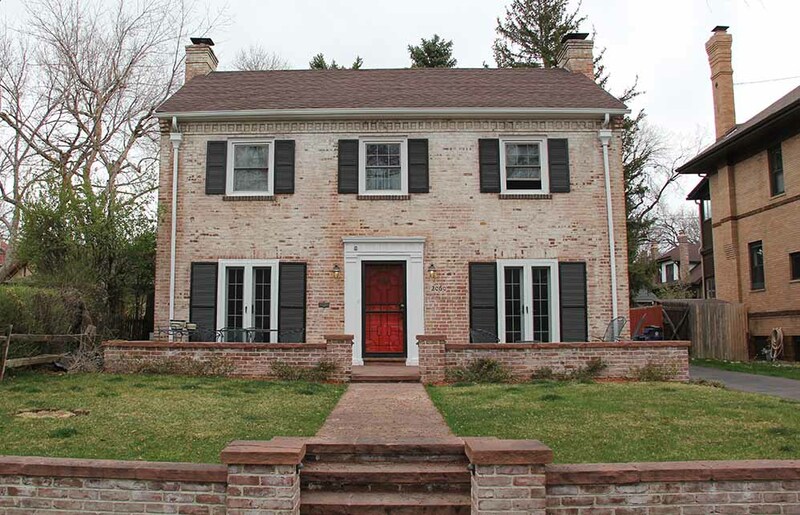 The majority of these houses are in good to excellent condition and maintain a high degree of historic integrity relative to their original construction. The first homes built were along Montview Blvd and close to Albion and Ash Streets and were mostly large architect-designed homes. The styles of housing changed with the years as a new century looked for new ways to express itself architecturally. 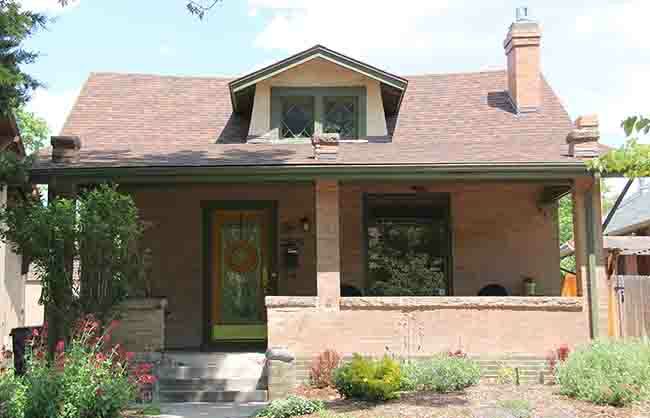 As it appears in Park Hill, the Bungalow is an adaption of the California Bungalow which was built of wood in great numbers on the West Coast. 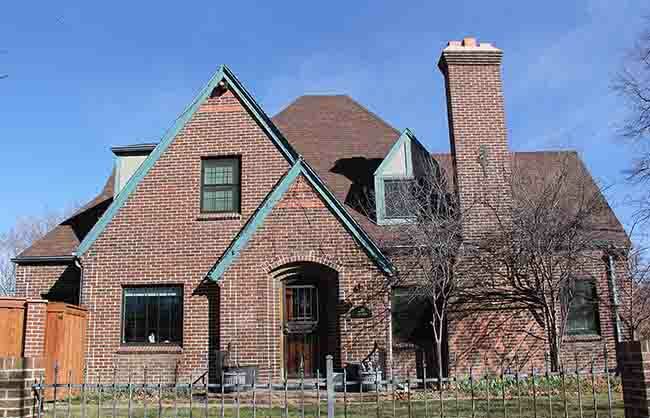 Since a Denver City ordinance required buildings to be constructed of brick, the design was locally adapted for brick exteriors and a distinctive Park Hill Bungalow look appeared. Another unique local adaption was the Park Hill Porch, which usually extends full width across the front of the home with two corner brick piers that not only support the porch roof but continue through the roof to form to extended piers with capstones. Show your support with our free “Count Me IN” yard signs and/or bumper stickers. Click the button below to send an email including your name, address and the number of signs and/or stickers you’d like. One yard sign (two for a corner lot in the designated area) and up two removable bumper stickers will be delivered by one of our volunteers within 24 hours. Supply is limited, click now. 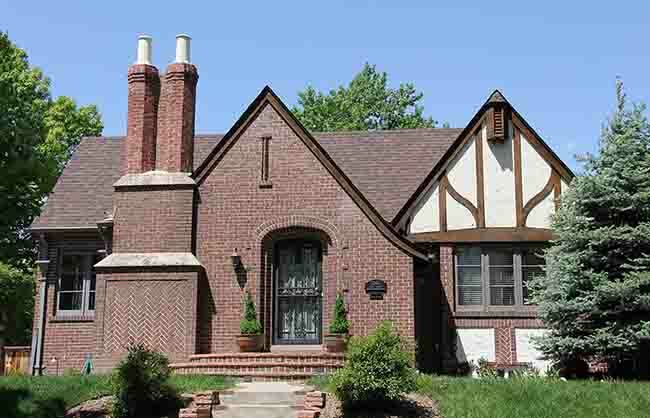 A wide variety of residential housing forms, styles, and sizes occur in Park Hill, representing the popular architectural styles of the late nineteenth and early twentieth centuries. These dwellings vary from small two-bedroom single-bath bungalows, to large three-or-more bedroom Craftsman styles, to small and large Tudor Revival and Colonial Revival forms, to multi-story architect-designed mansions. 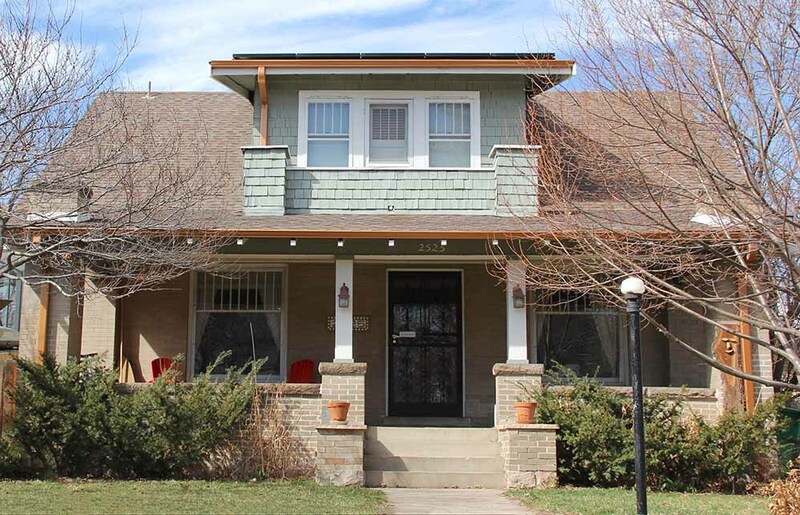 The majority of these residences are in good to excellent condition and maintain a high degree of historic integrity. Would you like to protect the historic integrity of Park Hill? Why do we need historic designation? 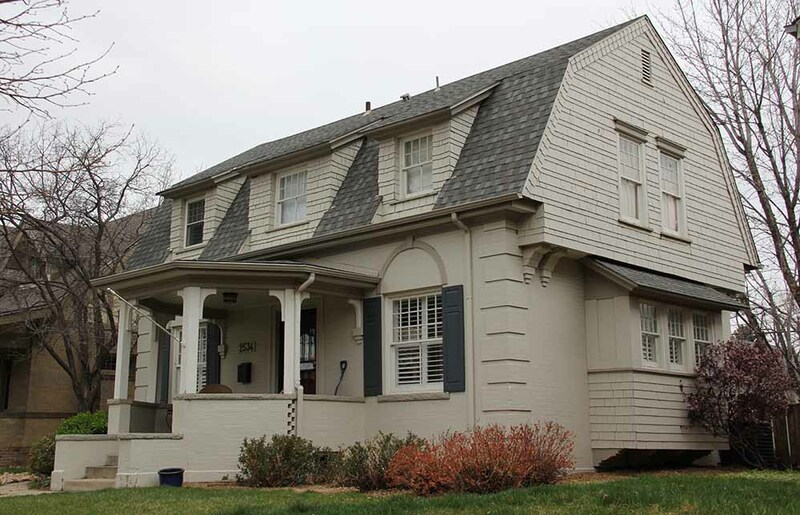 Historic designation is a method of ensuring that changes to a neighborhood occur thoughtfully, preserving the character of a place people love -- homes with history, a rhythm and street pattern, quality construction and design -- while acknowledging modern lifestyle needs by providing guidelines for modifications and additions. Historic District designation ensures that what we all love about Park Hill remains, and that future generations will recognize its special character. Historic District designation is the best way to ensure responsible and incremental change, and to protect historic homes from demolition. This is particularly important in Park Hill, where the homes most at risk are the smaller homes. Their loss threatens the architectural, cultural, and economic diversity of our neighborhood. Since the proposed Historic District is largely intact, we have a unique opportunity to protect it for future generations. Will Historic District designation devalue my property? What is Design Review and what kinds of projects are reviewed by the Landmark Commission? In Historic Districts, only exterior changes to the structure that require a building permit receive design review by the Landmark Preservation Commission. This review will ensure that the changes are done in a complementary manner to the structure, the surrounding homes, and the neighborhood. Approximately 80% of all applications are approved administratively within 5 – 10 business days. Quick permits for common projects, such as re-roofing, are typically approved in one day. More significant projects, such as additions or the construction of new structures, like garages, are reviewed by the Landmark Preservation Commission at their twice-monthly meetings. Proposed changes are reviewed in accordance with the City’s adopted Design Guidelines, which are available online at denvergov.org/preservation. To ensure the design review process goes smoothly, owners can contact Landmark Preservation staff early in the planning process for advice and recommendations. There is no fee for the design review process. What is allowed and not allowed in a Historic District? The following would not be affected by historic designation and do not require design review: 1) Painting the exterior of your home the color of your choice; 2) Making interior changes to your home; 3) landscaping and installing a lawn sprinkler system; 4) Installing an air conditioning unit or satellite dish; 5) Placing playground equipment in the yard, 6) Minor repairs such as gutter replacement and tuck-pointing. The following would likely be allowed after the design review process: 1) Sensitive additions to enlarge your home, including a pop top; 2) Adding or replacing a garage; 3) Replacing the front door. What is the Landmark Commission's approval rate for design review? The Landmark Commission's approval rate for 2013 was 99%. Of the 399 applications which received formal design review in 2013, 398 received approval. (The approval rate for prior years is similar). Of the 398 approved, 325 were administratively approved without need for formal Landmark Commission review. What is the difference between contributing and non-contributing homes? 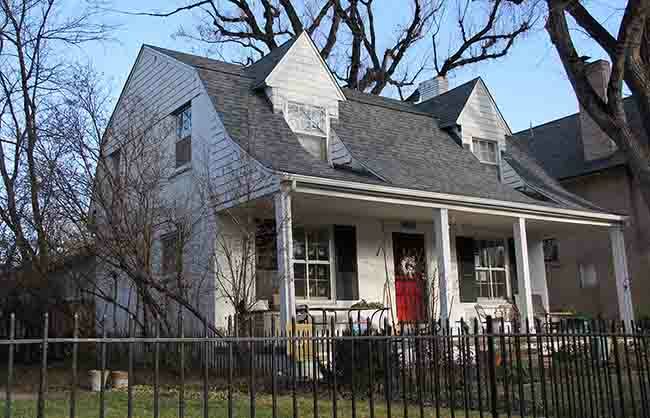 A Historic District is comprised of both contributing and non-contributing structures. 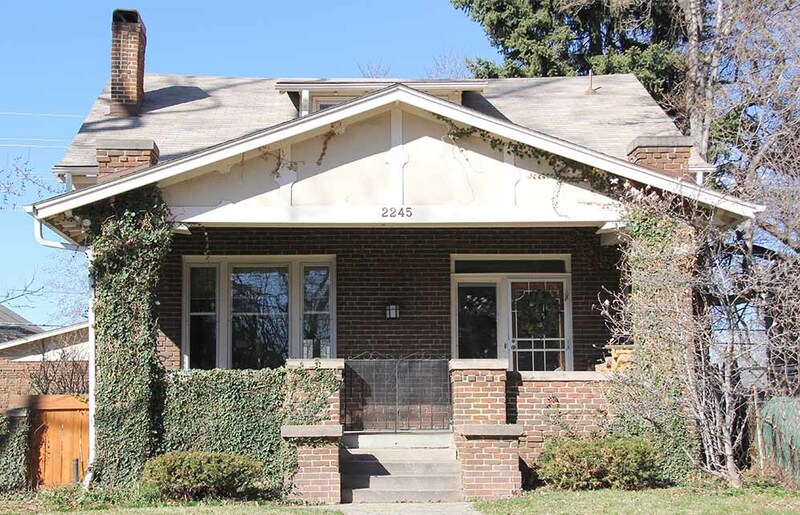 A Historic District will include a Period of Significance, and structures that were built within this period are considered contributing unless there have been significant alterations and, thus, loss of the home’s historic integrity. Non-contributing structures are those built outside the Period of Significance or those that have been altered and no longer have historic integrity. Homeowners of contributing buildings are eligible for federal and state income tax credits for qualified projects. What home improvements are eligible for tax credits in a Historic District, and how significant are the credits? Provided the appropriate guidelines are followed, here are a few activities that could be eligible for the Colorado State Preservation Income Tax Credit: window restoration; removal of historically incompatible materials; roof replacement; electrical and plumbing upgrades; and masonry repairs. The financial benefits can be substantial. Owners of "contributing" properties in Historic Districts may receive a credit of 20% of their qualified costs up to $50,000 taken over five years, i.e., five annual $10,000 state tax credits. The tax credit allows you to offset your taxes on a dollar-for-dollar basis. The credit resets every ten years or upon change of ownership. Can I demolish my home? Non-contributing (or non-historic) structures may be approved by the Landmark Commission for demolition without a public hearing. Contributing (or historic) structures may be demolished only if economic hardship is established at a public hearing of the Landmark Commission. Will I have to re-do or undo any changes that have already been made to my home if we become a Historic District? No, only future exterior changes that you initiate that will require a permit will be subjected to design review. Can I add a porch, or change or remove an existing porch? Yes. Adding or modifying a porch needs a permit, and as part of the process, the Landmark Preservation Commission will need to review and approve your plans. You may remove a historically incorrect porch or one that is no longer structurally safe, but again, this requires a demolition permit and a city review along with a Landmark review. Can I landscape my yard any way that I like, including adding or cutting down trees? What do I need to do if I want to install a storm, security or screen door? Installing storm, security, or screen doors does not require a permit from the City and therefore may be installed with no involvement by the City. While not required, the homeowner may opt to consult the City staff and get their input on the proposed project. What do I need to do if I want to add or repair a fence or retaining wall? There are very specific zoning guidelines relating to fences, regardless of Historic District status. From the front facade of the house forward to the street, a proposed fence cannot exceed 4 feet in height. (In Historic Districts, if appropriate, the front yard fence should be "transparent" to maintain the open view plane from the street.) From the front facade of the house back along the property line to the alley and along the alley, fences can be 6' tall. If taller, they will need a zoning variance. 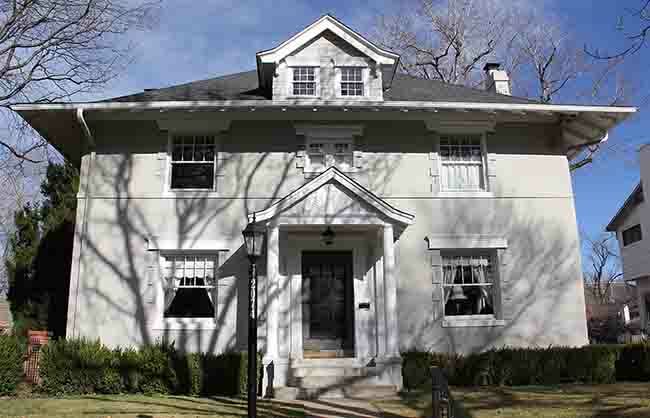 Do you support historic designation for the proposed Park Hill district? Information current as of January 11, 2017. 76.99% of proposed district have responded. 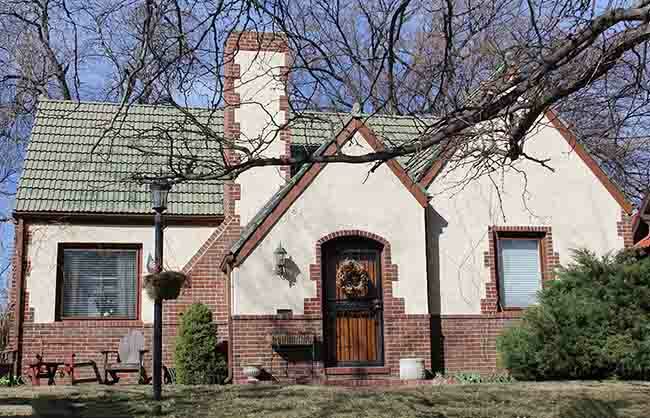 I moved to Park Hill in 2003 after living in the Washington Park neighborhood for 16 years. I looked all over the city for a home but kept returning to Park Hill as though drawn by a magnet. I was attracted by the diversity of the homes and the people here, and also the trees. It reminded me of growing up in England and I loved both the sense of history in the neighborhood and the sense of community. I know that Park Hill will continue to evolve and change as a neighborhood, just as it always has in the past. I am happy about this because it means that Park Hill will remain a vibrant and inspiring place to live. I am also concerned that the sense of history and the unique spirit of the neighborhood isn’t lost in the process. I believe that historic designation will help with this. I moved to Park Hill from the Denver suburbs in 2008. Park Hill has always been an area I’ve found beautiful. In fact, I used to dream about living here when, as a child growing up in northern Colorado, my family and I would visit the Denver Museum of Nature and Science and the Denver Zoo. We would drive in on busy weekends and park on the streets of Montview, Albion, and Ash. I have distinct memories of gazing at these historic homes and hoping, wishing, that one day I would live here. As I grew up I forgot that memory until one day it hit me–I was living EXACTLY where I had always wanted to. Park Hill has a special feel, a unique character defined not only by its residents and neighbors (although I’ll be prejudiced and say they’re the best neighbors in Denver! ), but particularly by the architecture of the neighborhood. 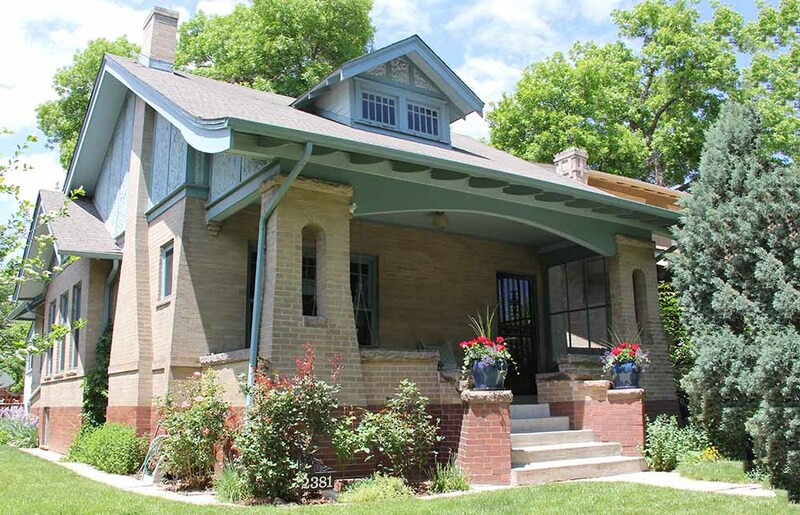 We have a great opportunity to preserve these historic homes, to ensure that they remain gorgeous and well-treated not only by us, but by generations of future Park Hill residents. In 2001, shortly after getting married, we moved to Park Hill. We spent months looking at different houses in different neighborhoods in Denver and kept being drawn back to Park Hill. We loved the diversity of the neighborhood, both in terms of the residents and the architecture. We loved the single blocks of retail and restaurants mixed in with the houses. We loved that the varied size of the houses made the neighborhood attainable for people in multiple stages of their lives: single home owners, newly married couples, parents with children, and older couples who are “empty nesters”. 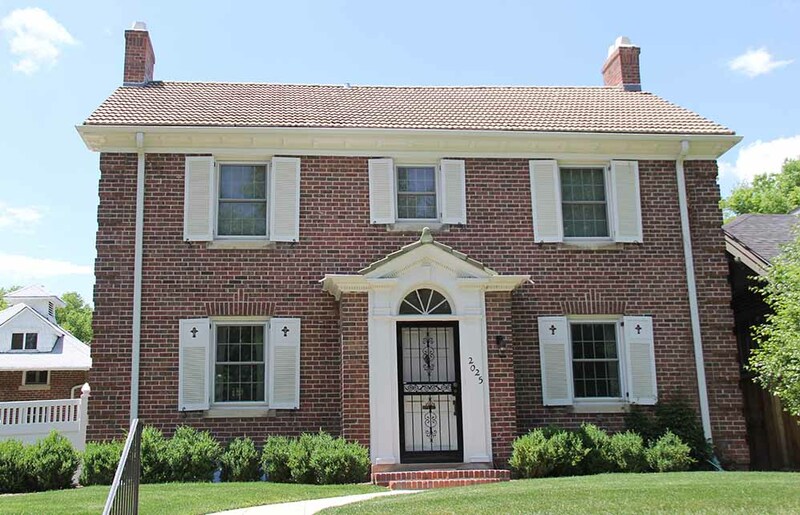 The neighborhood’s proximity to downtown and parks was a definite attraction, but the same could be said for Cherry Creek North, Hilltop, and Wash Park. But this neighborhood felt comfortable, it felt neighborly. Frankly, it felt like home from the very first night we spent in our house. Walking the streets of Park Hill on our nightly walks reaffirms for us that we made the right decision to move here. We want this neighborhood feel to continue for years to come and think that the best way to maintain that feel is to preserve the character and architecture through historic designation. © Historic Park Hill, 2016.